Community Care Assynt has traditionally depended on local community activities for fundraising – cake sales, raffles and such have been invaluable and will continue in various settings. For some of our forthcoming new projects we are planning some dedicated exciting fundrasing events too – news to be announced soon! Keep an eye on our News and Events pages to keep up to date with those plans! We love people raising money for Community Care Assynt and there are many ways to do so! 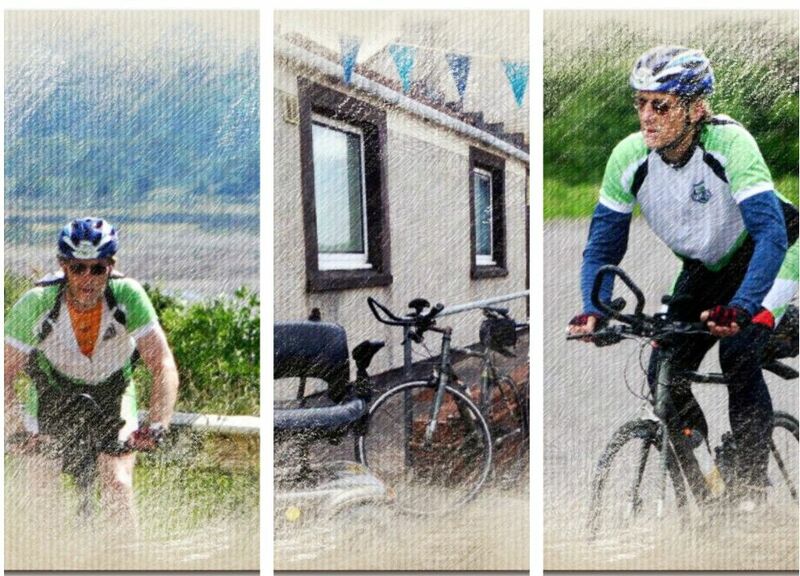 Our Chair, David Slator, has run marathons and done cycle rides to raise money for CCA and other charities! If you want to follow in his footsteps or bike tracks, or if you fancy doing a sponsored walk, sky diving, abseiling, or any other activity (even of the more sedate kind! a Knithaton?) – we would be delighted to hear from you and support you in helping us with a fundraising activity! Through our new online fundraising provider Totalgiving you can now create a fundraising page for your project in support of Community Care Assynt. Alternatively, if you’d like to support the charity with a donation, please visit our Donating to us page.